Melbourne based artist Woodes has become a Kings favorite. 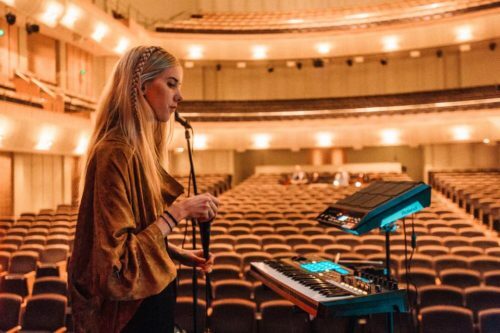 Woodes aka Elle Graham kicked off in 2015 with a string of successful single releases. The track Flash Mob was one of the most played songs in 2015 across triple j unearthed radio. In 2016 the follow up single ‘Daggers & Knives‘ clocked over 300,000 total plays. Check out her latest single ‘Origami‘ which is off her new ‘Golden Hour‘. Additionally, Woodes is set to perform Splendour in the Grass in July alongside Lorde, Kendrick Lamar & Vampire Weekend.